Landscape Design By Lee is a landscape designer serving the local Suffolk County and Nassau County areas of Long Island, New York. Specializing in Custom Design, Residential Entrance Gardens, Poolscapes, Berms and Walls, Sun/Shade Gardens, Cottage Gardens, Patio, Walkway & Driveway Design and more. My services include: initial consultation, site analysis, computer imaging and professional landscape design plan with installation available. Through discussion, I will listen to your wants and needs in order to create the landscape you desire. I work directly with all my clients from development of the design to completion in order to achieve the optimum results. I take pride in my work and will personally be on site supervising construction from start to finish and after completion should you decide to have your design installed. For more information visit: http://www.landscapedesignbylee.com/. The design process begins with an initial meeting with the client. The property is walked viewing the areas to be designed discussing factors such as desired function of the site, hardscape, existing plantings, lighting, watering, slope and location of utilities. The client can view samples of work so that the designer can get an idea for the style of landscape desired whether it is formal, informal, cottage style, contemporary or perhaps a combination of styles for different areas. After careful consideration of wants and needs for the location, digital photographs and careful measurements are taken of the site. The designer then gathers all the information needed for the plan through several site visits and creates a fully scaled design with the client's wants and needs in mind. Visit my Picture-Trail Album of completed landscape designs. 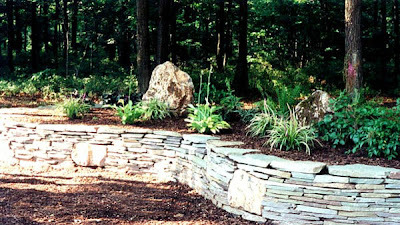 This site contains fifteen albums: Landscape Design By Lee Galleries I-VI, Computer Imaging, Perennials for Sun, Perennials for Shade, Hardy Trees & Shrubs (Evergreen & Deciduous), Grasses & Sedges and Hardscape. It is an informational site to have a first hand look at the numerous types of landscape plantings and hardscape that I use in my designs. Each library can be viewed as a slide show or photographs can be viewed individually. You can also visit my main company site. Contact me: If you would like to contact me by e-mail you can use the link below. I would be glad to hear what do you think? Also maybe I can add something more to my post (if you think it's important). Hi, my name is Judy Werber, a Huntington area gardener & member of Long Island Horticulture. I only have a 1/4 of an acre but have tried over the years to make it my little sanctuary. Thanks to Anna, I'm thrilled to discover you & your beautiful gardens. I too own my own landscape company out of rhode island. I branched off 2 years ago to do garden design and planting, which is not as easy as everyone thinks! Your website is amazing, I am very impressed with your knowledge and your beautiful work. I am 5 minutes from those pictures you took on the cliff walks in Newport. I would love to see more of your work and to learn different design ideas. Take care hope to ttys.